Successful organizations understand that it is essential not only to capture new customers but retain current ones. One effective method of retaining clients is through a customer loyalty card system. While each program varies from company to company, the principle remains the same. A good loyalty program rewards the individual for purchases made, thereby increasing the customer’s wish to remain loyal. 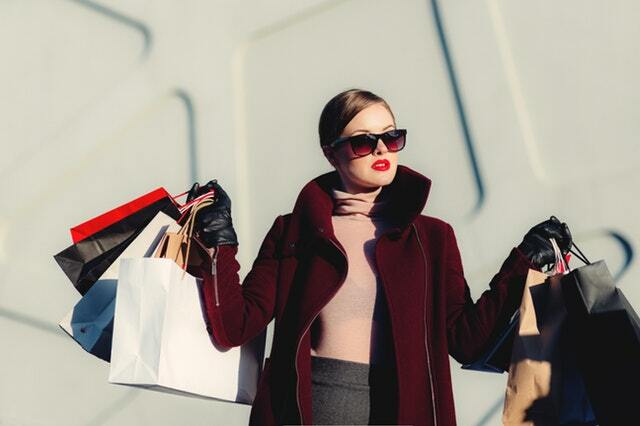 Some such programs include benefits like store credit, convenience, discounts, prizes, or any other benefit which could entice the customer to continue to shop there. What can you do to get shoppers to choose your store over your competitor time and time again? Companies everywhere are putting loyalty card programs into place and with good reason. If you are considering a loyalty card program, read on. These eight reasons will help you make the right decision. While different types of loyalty programs produce differing results, studies have shown that overall, loyalty programs are successful in numerous industries. The Starbucks Rewards customer loyalty program, for instance, helped in yielding $2.65 billion in increased revenue according to brand executives. The Starbucks Rewards program has become an example for every other loyalty program due to its wild success. It is a three-tier program allows customers to earn stars for each purchase, either by paying at the register with a Starbucks loyalty card, using the mobile app, or entering Star codes. One purchase equals one star. Welcome Level: Just by registering your card, you are entitled to a free birthday drink and free customization of your first drink. Green Level: After five stars, you also get free in-store refills and an additional customization to your drink. Gold Level: Once you’ve earned twenty-five stars within twelve months, you get all of the earlier benefits, plus a free drink or food item after every ten stars. You also receive a gold Starbucks card and special email or text offers that aren’t available elsewhere. When considering a loyalty program, many companies envision money spent on a program that may or may not produce results. However, the true cost burden lies in capturing new customers, not keeping current ones. Technically, the cost of a loyalty program is merely in the minimal cost of the loyalty cards themselves. The discounts and benefits pay for themselves with repeat business. 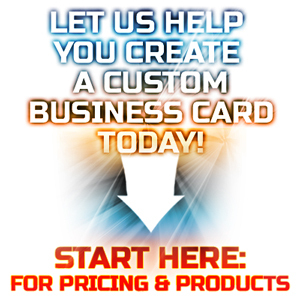 Additionally, the cost of printing the loyalty cards pales in comparison to the expense of finding new customers. Loyalty programs do more than just convince current customers to continue shopping at your store. They also work to let customers know that you appreciate them and that their business is valued by the company. Interestingly, loyalty programs have the added effect of luring new customers into the store. Word-of-mouth spreads, as current customers share their satisfaction with the card benefits. The more a customer feels valued, the more likely he or she will tell others – either with a personal recommendation or through social media. This recommendation becomes cyclic as others spread the word to potential new customers. Not only do loyalty programs improve customer retention and reputation of the business, but they also can increase sales per customer. They often work in a way that adds incentives for specific purchases, ones that a customer may not typically buy. For instance, you can get $5.00 off your next purchase if you buy Brand X Detergent. Perhaps the customer only buys the cheaper store brand or doesn’t even purchase detergent at your store. However, with the incentive, he or she will make that purchase. Rewards often increase linearly or even exponentially with each purchase a customer makes. Understanding the purchasing habits of your customers is one of the most important pieces of market research that is available to your business, and loyalty programs provide just that. Loyalty programs allow you to capture the name, address, and other demographical information from your customer base. This information can be used for newsletters, emails, flyers, coupons, and specials, among other marketing pieces. Plus, as you experiment with different rewards and discounts, you will uncover helpful information about your customers’ buying habits and preferences. Any information gleaned from a loyalty program can be used to make it more successful for future sales, daily discounts, and even stocking decisions. Even if on paper your loyalty rewards show a loss, in the end, it is beneficial, even financially. Loyalty programs set businesses apart from their competitors and draw in repeat and even new clientele. A loyalty program, however, not only offers discounts and rewards to customers, but it also shows them that the company wants to have a mutually beneficial relationship. If a customer is loyal to your store, they will save money compared with shopping at other stores. At the same time, you are earning their loyalty and their business. While it makes sense to offer high-quality plastic loyalty cards, it also is beneficial to provide mobile or digital rewards. You can also design a mobile app or digital rewards program through your website. While setting up a loyalty card program for your customers takes effort, that is where the work ends. You will need to do the initial research on the preferences of your customers, plan the type of program you would like to implement, and order the loyalty cards and sign up paperwork. After that is done, however, a loyalty card program becomes a self-functioning machine. You will want to continually monitor your rewards program and add new and better offers as well as track the purchasing data to ensure that you are providing a valuable service for your customers. However, the work to complete this portion is minimal overall. Loyalty card program is an effective marketing tool for a business and a great way for customers to save money. They are a win-win in both the eyes of the consumer and the company. They increase growth, help retain current customers, encourage recommendations to new customers, and come in a variety of options, including mobile and digital capabilities. If you haven’t created a loyalty program for your business yet, why not?